These first editions at my local Costco are now all gone. But the second printing is here! 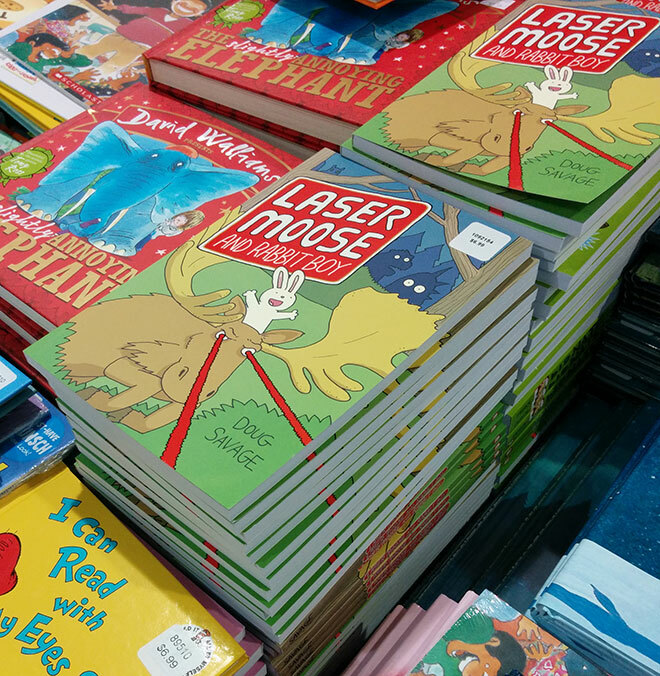 Great news on the Laser Moose front. The book is getting great reviews and selling so well that it is now on its second printing! But what’s been even more exciting for me is to hear from kids who are enjoying the book. It’s been so fun to hear about what parts people like best. For example, I had no idea there would be so many fans of grumpy old Frank the Deer. If you want to share your thoughts about the book, I’d love to hear what you think. Give me a shout, or write a review yourself, maybe on Goodreads or Amazon.